KOCHI, India – West Indies were on Thursday dealt a big blow after their star batsman Chris Gayle suffered a hamstring tear on his left leg during the first One-Day International against India. 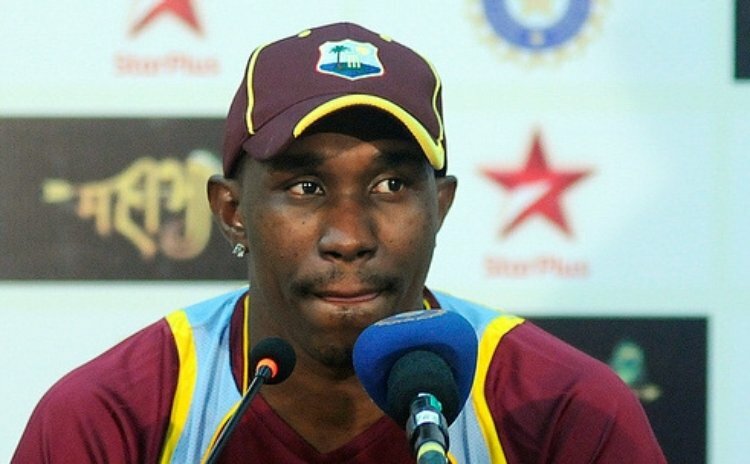 Captain Dwayne Bravo said it was the "worst" thing to happen to them on the current tour. Gayle has been ruled out of the remainder of the three-match ODI series after he sustained the injury while making a desperate dive to save himself from a run out chance. He was later carried out of the ground in a stretcher. "Losing Chris is the worst to happen to us on the tour. He is our best player. He is no longer available for the series and that is a big blow for us. Psychologically, also it is not good for us. Before we landed in India, we lost Kieron Pollard and now we lost Chris and they are two of our best players," Bravo said at the post-match press conference. Virat Kohli (84) and Rohit Sharma (72) hit sparkling half-centuries after spin duo of Ravindra Jadeja (3-37) and Suresh Raina (3-34) shone with the ball to thrash the visitors by six wickets at the Nehru Stadium. Asked to bowl, spin duo of Jadeja and Raina exploited the low and slow conditions effectively to bundle out West Indies for 211 in 48.5 overs, and Bravo admitted that the score was not good enough to defend. "The pitch is the same for both the teams. I think we lost the momentum. The India bowlers are good and they have applied themselves well. 211 was not a good enough total for a team to win an ODI. Our batters did not perform to our expectations. We have to work on our batting," the West Indies skipper added. "I thought we were about 40 runs short. We had a good start even though we lost our star batsman Chris Gayle early. Johnson Charles and (Marlon) Samuels put up a good stand. We were on our target but we lost wickets and could manage only 211," Bravo said. "I think our bowlers did very well even though some of them were not at their best. But (Ravi) Rampaul and (Jason) Holder bowled very well and gave their 100 percent in their second spell."